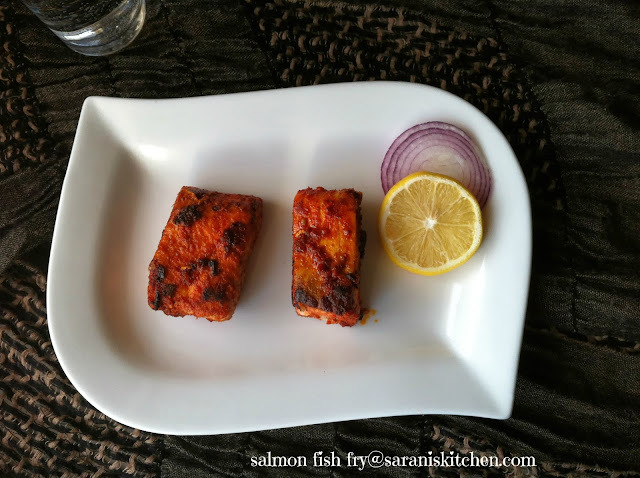 "Salmon is a healthier alternative to red meat and one of the best sources of omega-3 fatty acids, particularly EPA and DHA, which are nature's heart medicines.Omega-3 is termed as an essential fatty acid because the body cannot synthesize it itself and must be obtained from the diet. To optimize your body's supply of essential fats rich in EPA and DHA, aim to eat oily fish - such as salmon, mackerel, herring and fresh tuna - at least once a week. Much of the salmon you see in supermarkets is farmed; in fact, farmed salmon outnumbers wild salmon by 85 to one. (From Reader Digest)"
Salmon is one of my favorite Fish. It is very simple to make with the readily available ingredients in the pantry. It's also done in 15 minutes and that's what makes me love it even more. 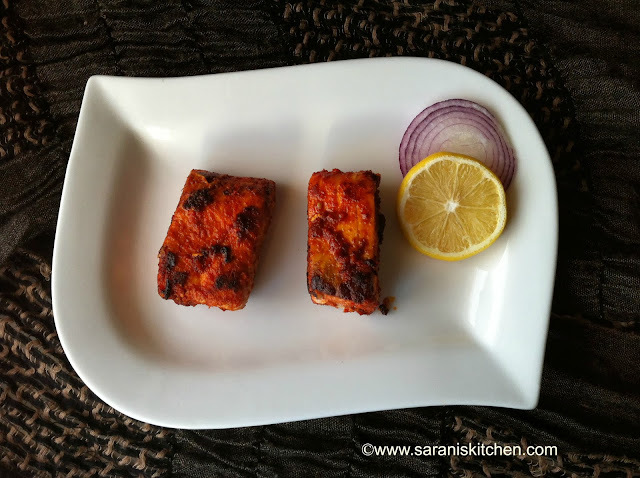 I'm sure many of you know this super-easy recipe, but, I just like to share my recipe, maybe some people don't yet know it! 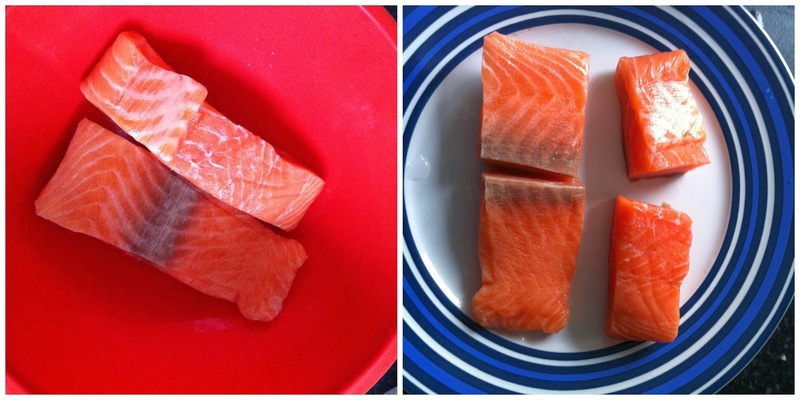 Wash the salmon fish fillets well and pat dry. In a mixing bowl mix ginger garlic paste, red chili powder,coriander powder,lemon juice and salt as per taste. Marinade the fish and close and keep it for 30 mins. Heat oil in a non stick pan shallow fry the fish on both side till gets fully cooked.